2 reviews Most guests find this Hotel as very good(8 over 10). Among others, the Sheraton Hotel Mar Del Plata offers the following services: Business Center, Concierge and Modem / Data Port. 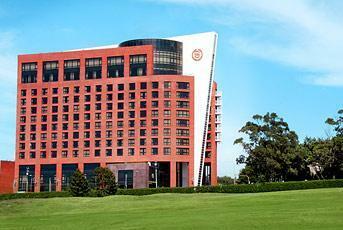 The Sheraton Hotel Mar Del Plata is a 5 star Hotel. The rooms quality and cleaning service are excellent, this Hotel is close to Ástor Piazzola International Airport, and other sights to see. Besides good and friendly airport transfer, in addition to disabled travelers will find a suitable disable access in this hotel. On the other hand, the hotel offers modern air-conditioned rooms, and guests can visit the spa on site for a full range of therapeutic massages.